2012 is quickly shaping up to be a promising year for the Hollywood blockbuster: Christopher Nolan is already teasing American audiences with six minutes of The Dark Knight Rises, Peter Jackson has every geek wetting himself over The Hobbit, and Joss Whedon is pushing The Avengers harder than your local housing-development scumbag pushes crack cocaine. Yet as exciting as all this may seem, none of it really holds much of a kick: we already know Knight is going to be a knockout and a critical darling, while I’m sure The Hobbit‘s overindulgence with CGI will have every nerd practically bawling over how “amazing” it all looks… and The Avengers? Well, it’ll make a sh*t-load of money, so who honestly cares what it brings to the table? The truth of the matter is that despite the promise, I’m not all that psyched merely because the promises made are not ambitious enough to not be kept. Hollywood’s abandoned risks and it’s a shame. And yet, from the darkest corner of late-career mediocrity, a challenger appears in the least likely of places: a future courtesy of an iconic past. After abandoning the science fiction genre after 1982’s seminal sci-fi/noir Blade Runner, Ridley Scott took up a number of forgettable thrillers and epics that earned him respect as a capable director, but a reputation for playing it relatively safe considering his ambitious beginnings with genre-defining pieces like Alien. Regardless of how skilled Scott was at conveying action and entertainment on mass levels, his art was never quite as exciting without the wonderment of an fully imagined setting providing an engaging backdrop for his blockbusters. That’s why, in my opinion, the news of his return to the genre that made him with the forthcoming Prometheus warrants the most excitement out of any large-scale industry project next year. 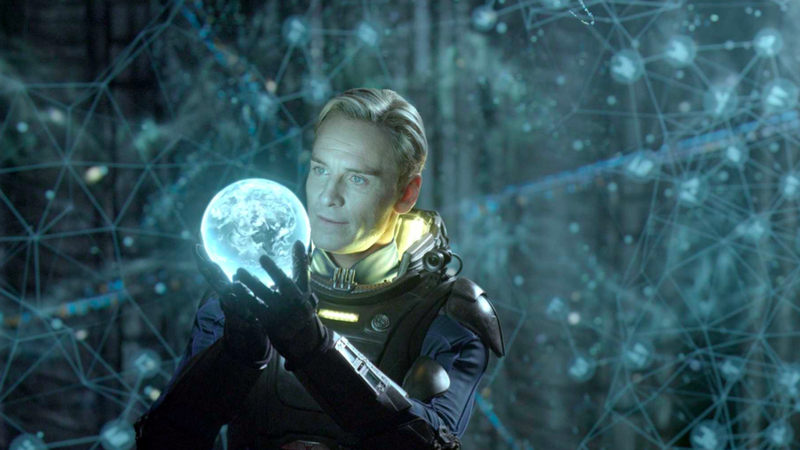 Part of the genius behind Prometheus is the hype its managed to generate. Is it a prequel to Alien? Can we expect the creepy, atmospheric flourishes that made Scott’s other sci-fi ventures as effective as they were? Will it have enough explosions to keep an audience reared on the Transformers movies interested in its apparently heavy-handed plot? Judging by the incredible trailer I posted above, the answer, thankfully, seems to be a resounding “yes”. The “DNA” of Alien Scott has been hinting at for the past couple months is immediately apparent in both the tone the film appears to take AND the presence of very familiar narrative facets present in the 1979 precursor (the derelict ship, space jockey “gun chair”, and Giger-esque “spine halls”). A schooled fan-boy might even find himself keen enough to catch a glimpse of a distinctive “Weyland-Yutani” logo on the crew members’ space caps in the trailer (particularly on Noomi Repace’s before she’s flung spectacularly by some sort of gale-force space wind). The trailer itself is commendably edited: the title-introduction a noticeable salute to the classic Alien trailer, and the expert pacing capturing contemporary trends in Inception-ized attention-grabbing without sacrificing tasteful shots of vistas and breathtaking color for hyper-stylization. 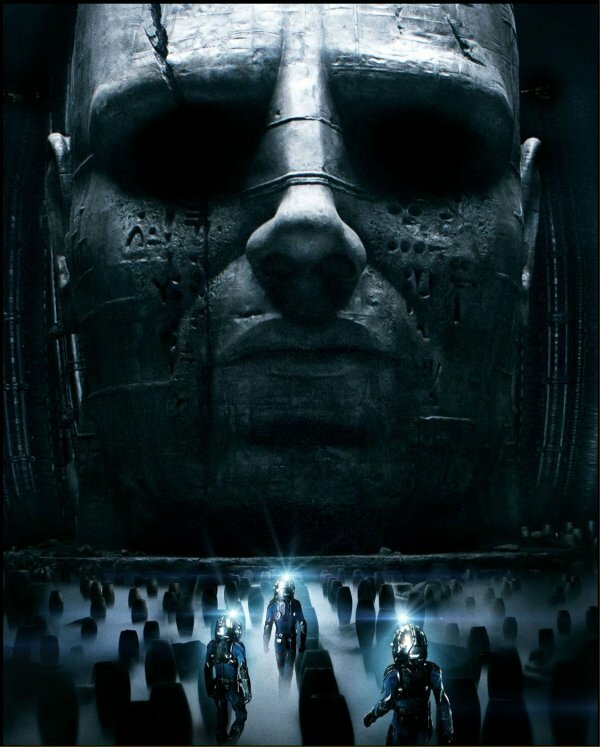 Beyond what I could see, Prometheus is also shaping up to be a very well written movie as well, a quality irritatingly absent in the genre as of late. Damon Lindelof’s presence always seems to do the trick when it comes to effective myth-making, so I had little doubt the magnitude of a story that spans from mankind’s creation through well into our future would be handled with aptitude and grace. The well-balanced cast also seems an effective draw, offering two conflicting female protagonists, a wide array of talented ensemble crew-members, and Michael Fassbender playing an android in existential crisis (sign me the f*ck up). With merely a handful of screen-caps and a minute-long trailer to back its cause, Prometheus has already left me convinced it will be the knock-out stunner of 2012. Ridley: welcome back, man. It’s been way too long.